Are you looking for tips on things to do in Sydney? As part of our city guides series, we share with you our insider tips on the best things to do in Sydney, including advice on where to eat, sleep, drink, shop and explore. 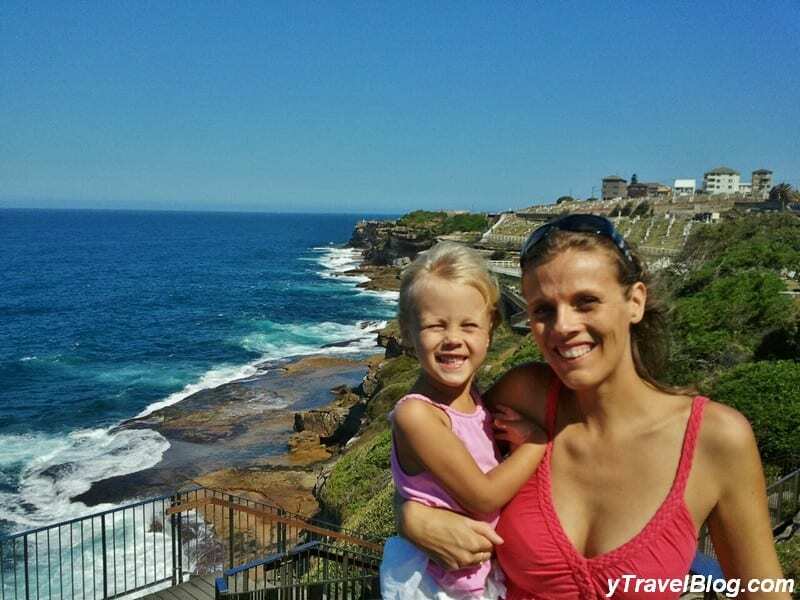 If you are going to visit Australia then you can’t miss Sydney. Besides being Australia’s largest city, there are many reasons why it’s also the most visited. It has the stunning harbour side location, the iconic beaches, excellent restaurants, fantastic cafes and pubs, world heritage sites, terrific shopping, incredible festivals, a multicultural population, and good year round weather. Don’t just use Sydney as a gateway to Oz, with so much to see and experience give yourself a week. Trust me, Sydney won’t let you down. Why not start your visit to Sydney with a free walking tour with a knowledgeable local guide? Rain, hail or shine the guys from I’m Free Walking Tours walk everyday at 10.30am and 2.30pm. The Bondi to Coogee Coastal Walk is a stunning coastal walk with plenty of coves and beaches to visit along the way for a swim or a drink and a bite to eat. The walk starts behind Bondi Iceburgs and usually takes us 2 hours with the kids. Catch the train from Central to Bondi Junction, then a bus to Bondi Beach. A great and cheap way to experience Sydney Harbour with stunning views of the Opera House and Harbour Bridge. Can also make for a great day trip. Walk down the Manly corso, spend a few hours at Manly beach, eat an ice cream or grab a cold beer at Manly Wharf Hotel. You can’t beat the serenity and harbour views from the Botanical Gardens. A great free way to spend a few hours in Sydney. Walk from the Opera House to Mrs Macquarie’s Chair for one of the best vantage points in Sydney. Take a picnic lunch, a blanket and a bottle of wine. You can’t get any more Australian then learning to surf at Bondi, Sydney’s iconic beach. 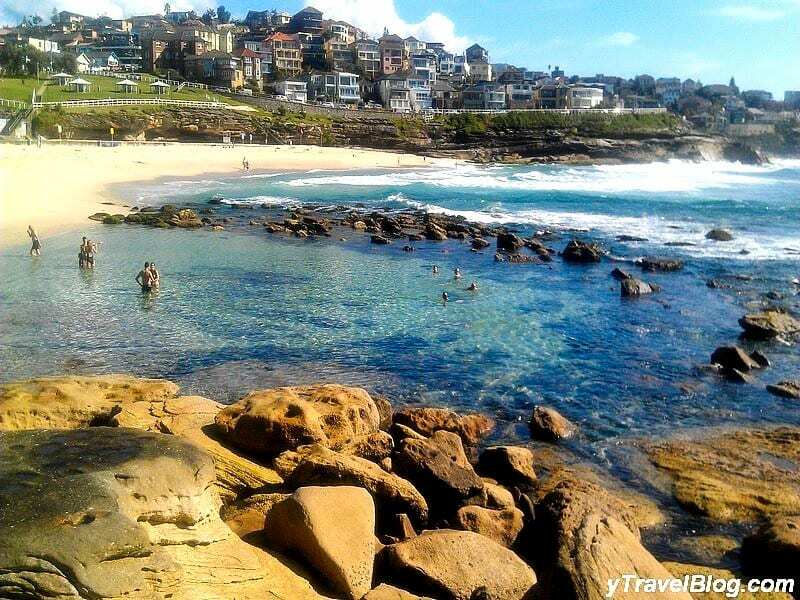 Bondi is perfect for any beginner as the beach faces south so you are protected and the surf is not so wild. Let’s Go Surfing is the only learn to surf company in Bondi. Climbing one of the most famous bridges in the world is a once in a lifetime experience. Take either a dawn, day, twilight, or night climb and take in the breathtaking views. Visit BridgeClimb.com. A much cheaper option (FREE) is to simply walk across the Harbour Bridge and take in the same panoramic views on a lower level. OR, visit the Pylon Lookout for just $11 and get fantastic views plus 3 levels of exhibits and learn about the history of the Bridge. Hyde Park is Australia’s oldest park and the city’s central open green space. 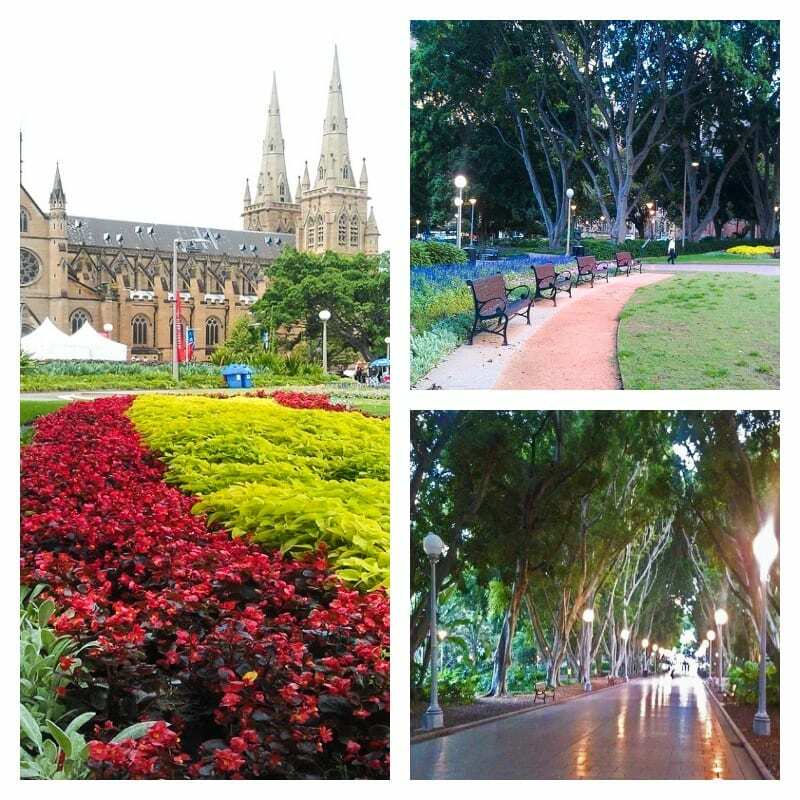 The park contains St Mary’s cathedral plus numerous monuments and statues, and the central pathway through the park is an impressive fig lined road. Sydney Tower is Sydney’s tallest free-standing structure at 309 m above the CBD. It has an observation deck, and for an unforgettable Sydney experience consider the Sky Walk 268 metres above the city streets looking through a glass floor. 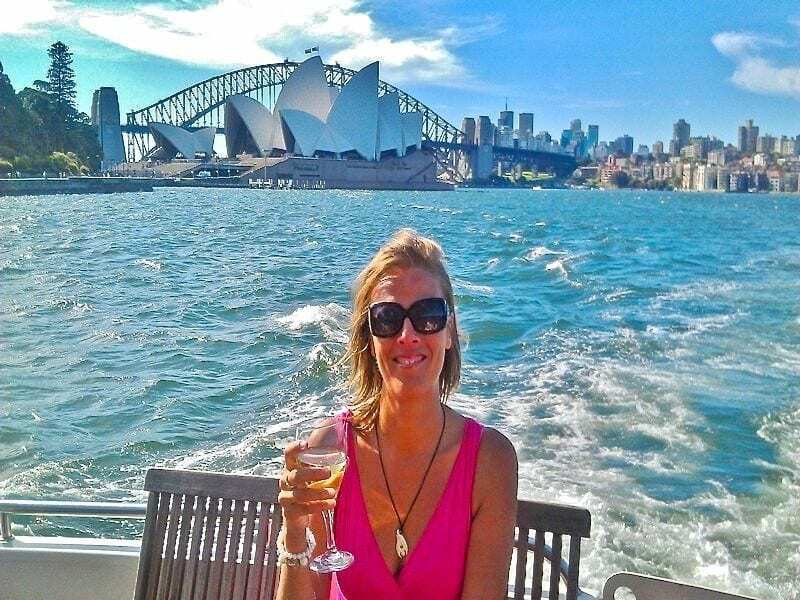 How about taking a small private cruise of Sydney Harbour. Each sail has a maximum of 12 people, helping you to feel like you are more on a sailing day out with friends than a tour. 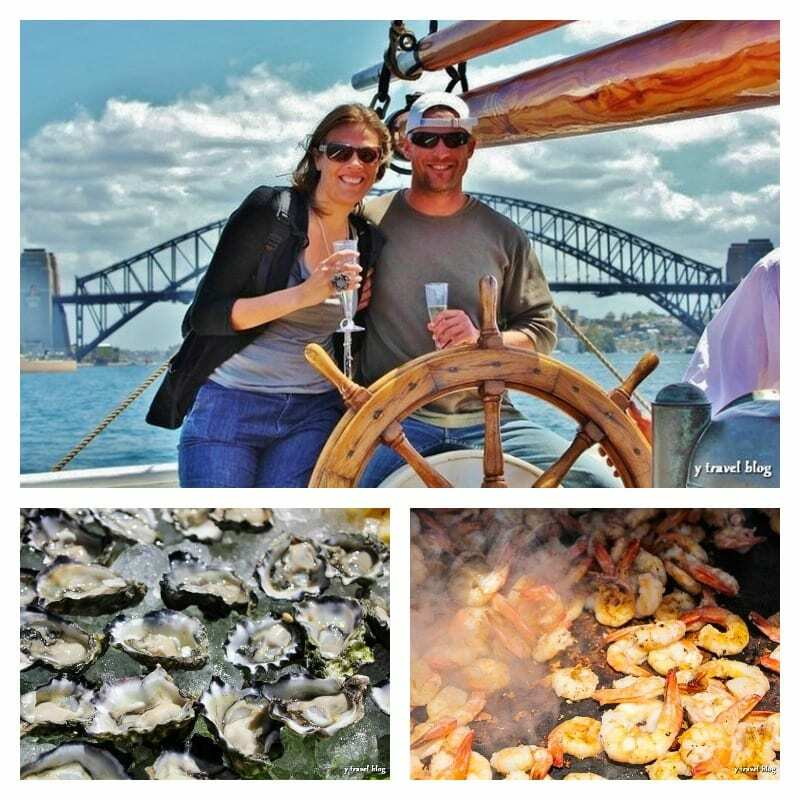 Visit SeaSydneyCruises.com.au and cruise like a local. The Razorhurst Bar Tour is a tour of some of Sydney’s infamous small bars in Darlinghurst. This now trendy neighbourhood used to be full of illegal shenanigans: bootlegging, laneway gambling, buzzing brothels, drugs, and bloody razor gang fights. Two feet and a heart beat offers small guided tours introducing visitors to the sights, sounds and tales of the city’s interesting history, culture and heritage in a fun, relaxed and informative way. The Art Gallery of NSW is one of Australia’s leading art museums with five levels of art with extensive collections of Australian, Aboriginal, European, Asian and contemporary art. Located adjacent to the Royal Botanic Gardens. 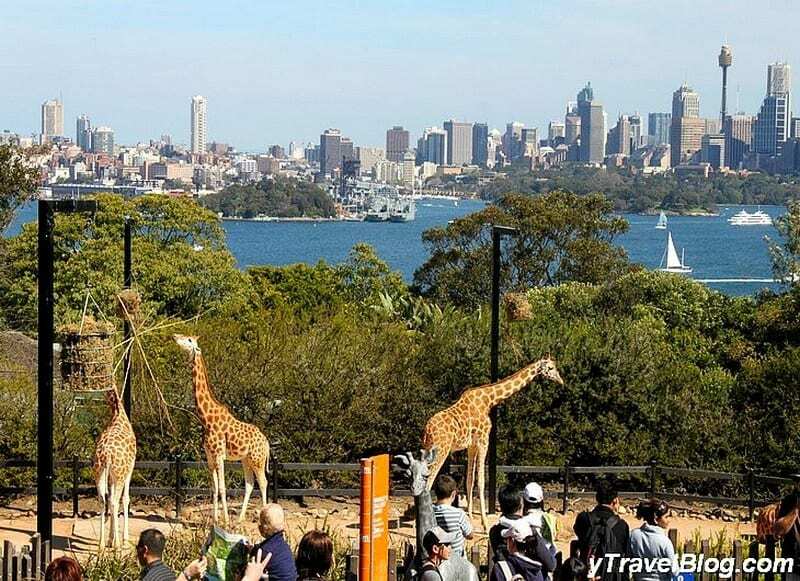 The World Class Taronga Zoo is situated on Sydney Harbour in a natural bushland setting with spectacular views out over the Harbour. With a wide variety of animals from around the world, shows, keeper talks, and animal encounters all day makes it a great family outing. I’ve known Sydney Harbour all my life, but experiencing her on a kayak Caz discovered a different side: quiet, calm, and natural. 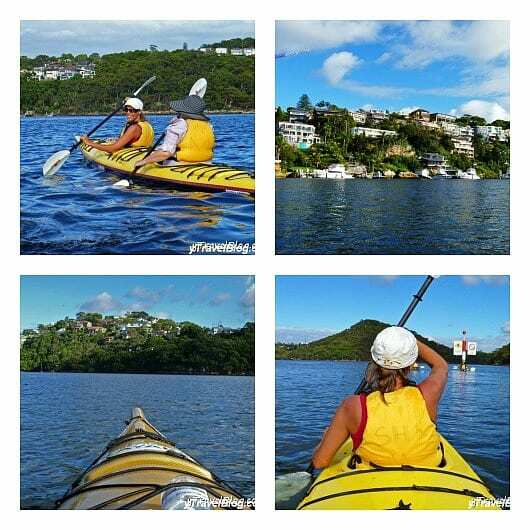 The Middle Harbour Eco Tour with Sydney Harbour Kayaks is a unique Sydney experience. Sydney’s beaches are famous and free to enjoy (besides the parking fees). From the Northern Beaches to the Eastern Suburbs you have many great beaches to explore. Our favourites include: Palm Beach, Freshwater, Dee Why, Manly, Queenscliff, Balmoral, Bronte, Clovelly, Coogee, and you must visit Bondi once. Why not take to the skies in a helicopter flight and get an amazing view of Sydney’s beaches, coves, harbour precinct, and city skyline. The Sydney CBD is very walkable. I often like to walk down George or Pitt streets from Central station to Circular Quay to feel the beat of the city. Then wander around Circular, Quay, The Rocks District, and The Botanical Gardens. Wander and take photographs of Sydney’s famous landmarks, The Harbour Bridge, Opera House, and enter the Royal Botanical Gardens. A busy transport hub with outdoor cafes and restaurants lining the harbour. An historic area of Sydney near Circular Quay, and possibly my favourite part of Sydney. There’s a story around every corner when you walk the cobblestoned streets and explore the Rocks. 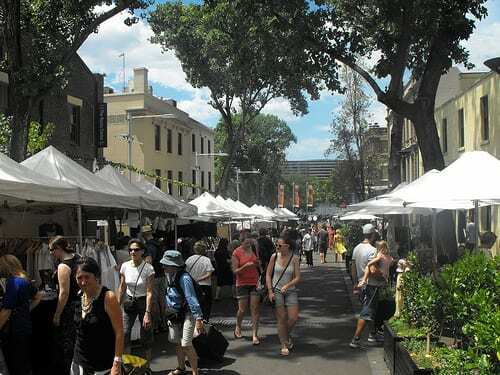 Browse the weekend markets or go on a pub crawl at some of Sydney’s oldest pubs. 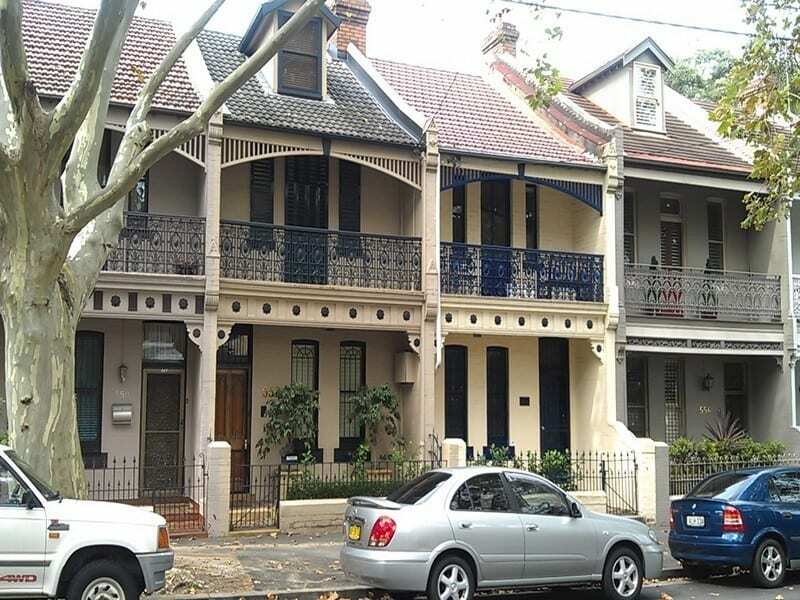 A top inner-city neighbourhood and one of Sydney’s most artistically-vibrant with old terrace homes. A great mix of cafes, restaurants, wine bars and pubs serving a wide variety of cooking styles and cultures. Wander Crown Street, Bourke street and Cleveland streets. Fashionable neighbourhood for boutique shopping on and around Oxford street, and the famous Paddington markets held on Saturdays. Also known for art galleries, cafes, restaurants and rows of pretty Victorian terraces. One of Sydney’s premier seaside suburbs for all the family. Wander the palm tree-lined corso, then hit the promenade on the beach. There’s sheltered swimming in an ocean pool, an aquarium, great fish and chips, ice cream shops, pubs, and a sophisticated dining scene. Alternative and colourful inner-west neighbourhood. Wander King street for great coffee, over 140 restaurants offering ethnic cuisines, funky bars, beer gardens and interesting people watching. Chinatown – Looking for cheap eats in Sydney then Chinatown is hard to beat. Stroll down Dixon street, see where the locals are dining, and take your pick. For super cheap hit the food courts. 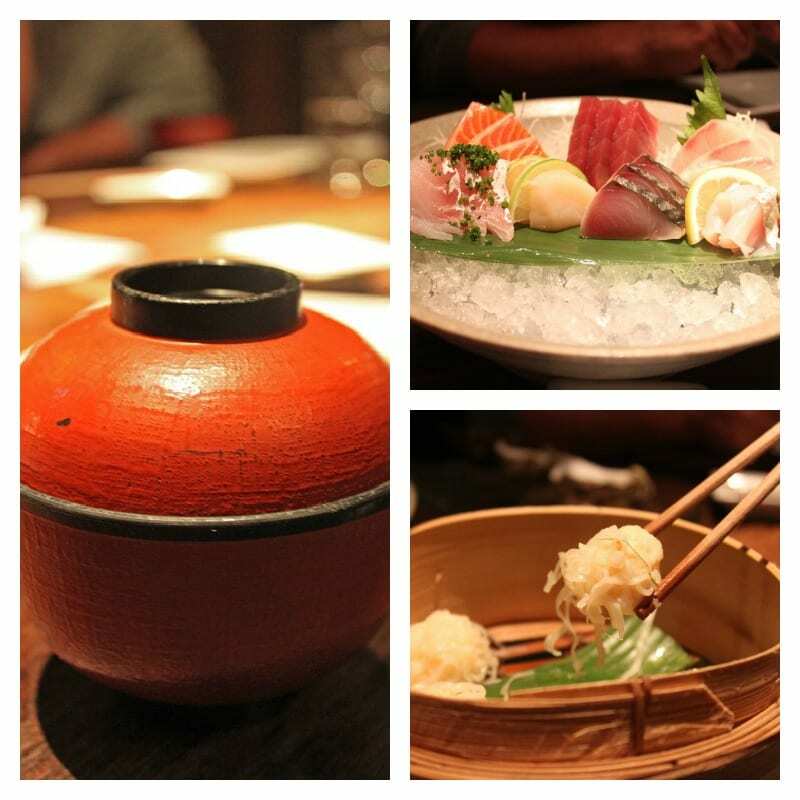 Ms G’s Restaurant – Located in Potts Point, the fusion of Asian cuisine are out of this world. Order small tapas style dishes or larger main meals. And Ms G’s kooky cocktails are very famous. Cafe Sydney – Right in the heart of Circular Quay with sensational views of Sydney Harbour from the roof top location. Yummy food, great cocktails and an outdoor terrace. A bit pricey, but as they say you pay for what you get. Sea Bay Chinese – Cheap and non-descript but full of happy eaters and huge meals. Located in the CBD on Pitt street. 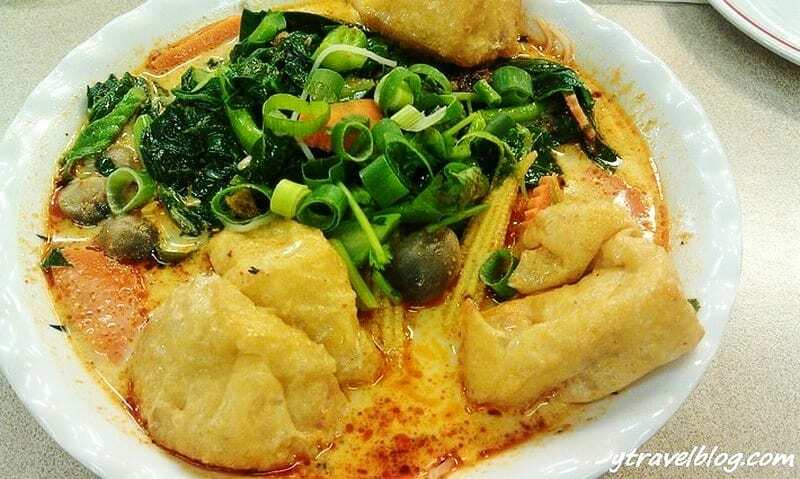 Don’t miss the vegetarian dumplings, home-made noodles, and the pancakes! 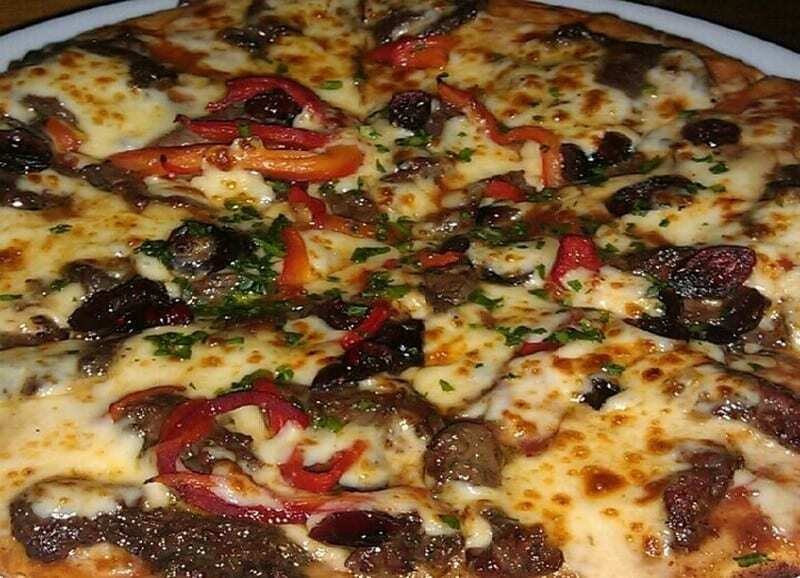 Australian Heritage Hotel – Famous for it’s Kangaroo, emu, and crocodile pizzas. Want to try real Aussie tucker? This pub in the Rocks District is where it’s at. El Loco Mexican Cantina – How about tasty $5 tacos! A great little authentic Mexican cantina attached to the Excelsior Pub in Surry Hills serving delicious tacos and Margaritas in a relaxed setting. Ampersand Cafe & Bookstore – Surry Hills location with a great breakfast and a place to sipp coffee whilst browsing the book shelves. 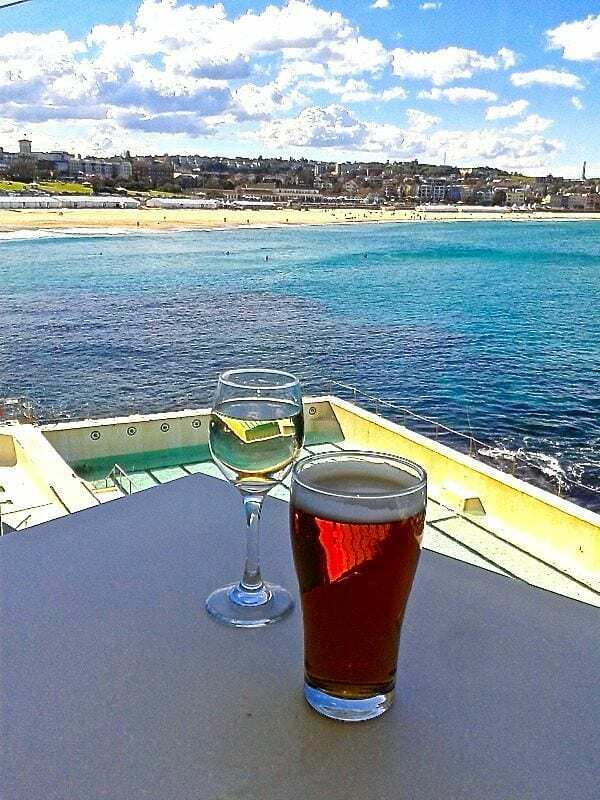 Bondi Iceburgs Bistro – For breakfast, lunch or dinner and have a beer overlooking Sydney’s most famous beach. Even OPRAH dined here (in the upstairs restaurant) but get the same views for a fraction of the price. North Bondi RSL – This bistro is another cheap option if you’ve made the trek to Bondi. Sit inside or outside on the deck and enjoy one of the best views in Bondi. Sake Restaurant & Bar – contemporary Japanese food set within a designer space in the historic Argyle Precinct at The Rocks. Try the steamed prawn dumplings and a sashimi tasting plate. Thanon Khaosan Thai Restaurant – Need authentic Thai food? This popular lunch and dinner destination has a layed back atmosphere in a great location on Pitt street near Central station. BaBa Laksa House – Underneath the Grace Hotel on King Street. Open lunch time only and Monday-Friday. Great, cheap and BIG servings of Asian food. And of course awesome Laksa! 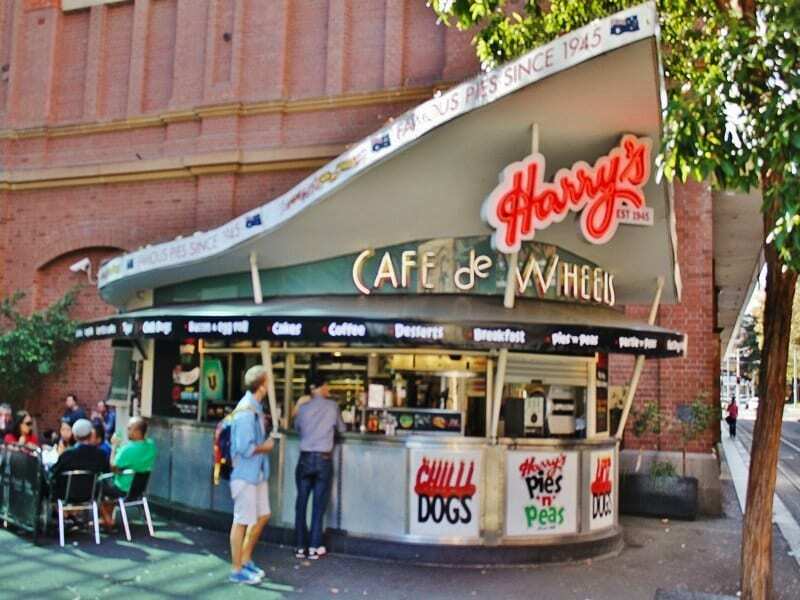 Harry’s Cafe De Wheels – Harry’s is an Australian icon serving pies, pasties and hot dogs to celebrities, tourists and locals. Their Pie and Peas is a particular favourite. Locations include Woolloomooloo and Haymarket. Harts Pub – great hand crafted beers. The Observer Hotel – Listen to live music while downing pints of Guinness and Kilkenny. The Glenmore – awesome roof top terrace with views over Sydney Harbour. The Clock Hotel – huge pub with a great balcony overlooking Crown Street. Forresters – cold beer, good pizzas, easy walk from Central Station. Newport Arms – home to Australia’s largest waterfront beer garden. The Clovelly Hotel – one of the eastern suburbs most stylish pubs. 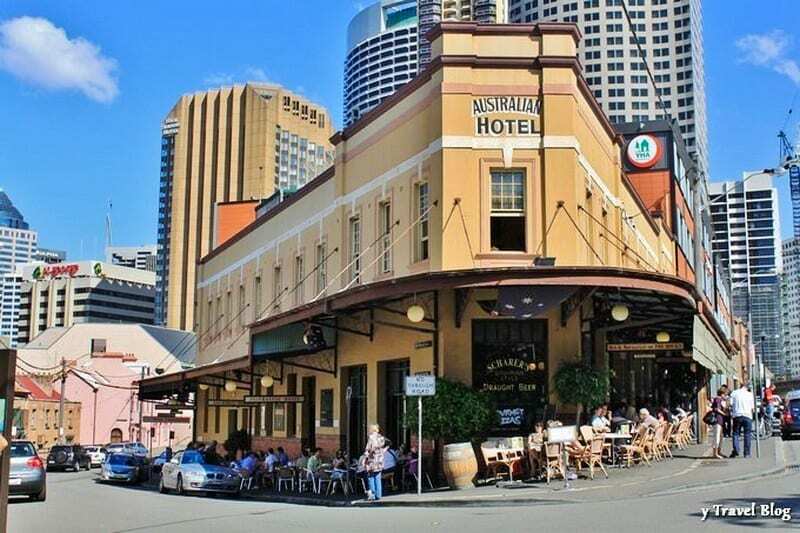 Manly Wharf Hotel – seaside pub with views into Sydney Harbour. Hole in the Wall – yep, this place has no name, but if you walk down George street towards the Harbour, turn left onto King St at the Apple Store, then it’s literally across the street (next to Louis Vitton Building). 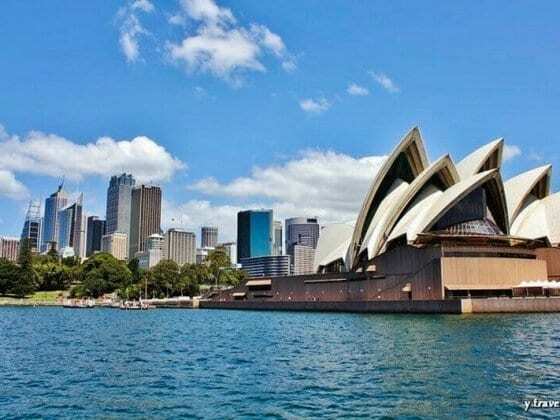 We have researched and compiled a list of places to stay in Sydney here. 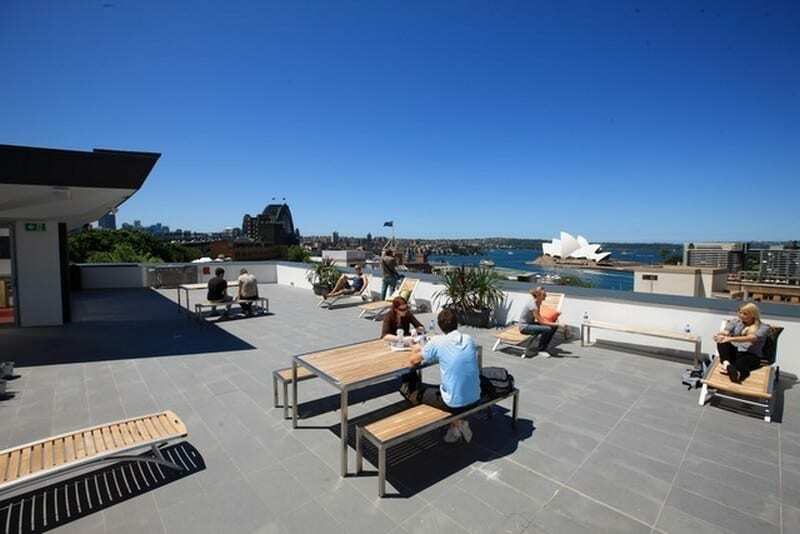 Sydney Harbour YHA – Top location in The Rocks District, built over the remnants of an archeological dig of white Australia’s first settlement, awesome roof top terrace, modern and great for solo, couples, and family travellers. Sydney Central YHA – Terrific location with walking distance to Central Station , Chinatown, Darling Harbour, CBD, Surry Hills, and. Newtown. Large, spacious and modern. Also great for solo, couples, and families. Wake Up! – Another top choice next to Central Station. Clean, modern, cool vibe, street cafe, side bar, one of the best hostels in Sydney. Travelodge – Don’t want to stay in a hostel? Try the Travelodge instead which is located in a great neighbourhood near Surry Hills and within walking distance to Central Train Station, CBD, Circular Quay and more. Vibe Hotel CBD – in the heart of the city, walk to Central Station, Surry Hills, Darlinghurst, Chinatown, Circular Quay, Sydney Tower, Hyde Park, The Rocks. Chic and modern. 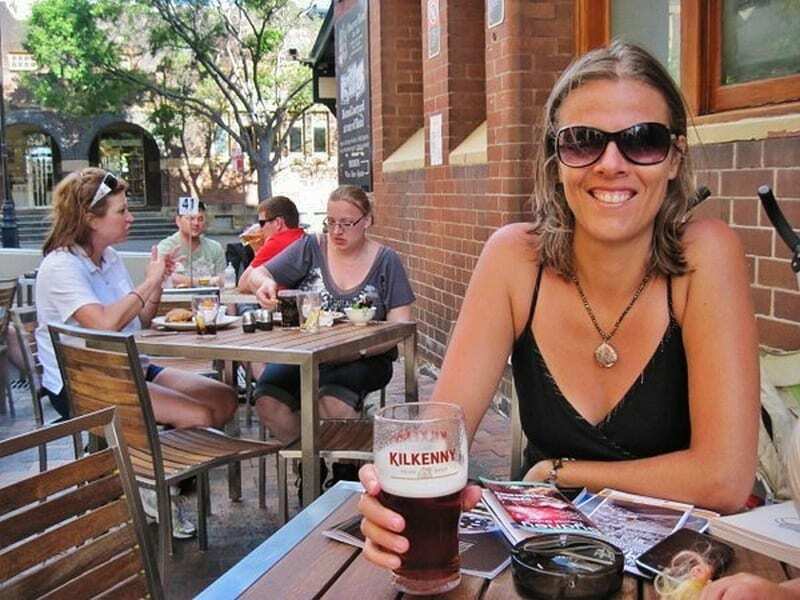 Cambridge Hotel – conveniently located near CBD in the top neighbourhood of Surry Hills. Mercure Sydney – short walk to Central Station and a range of eateries for those on a budget. 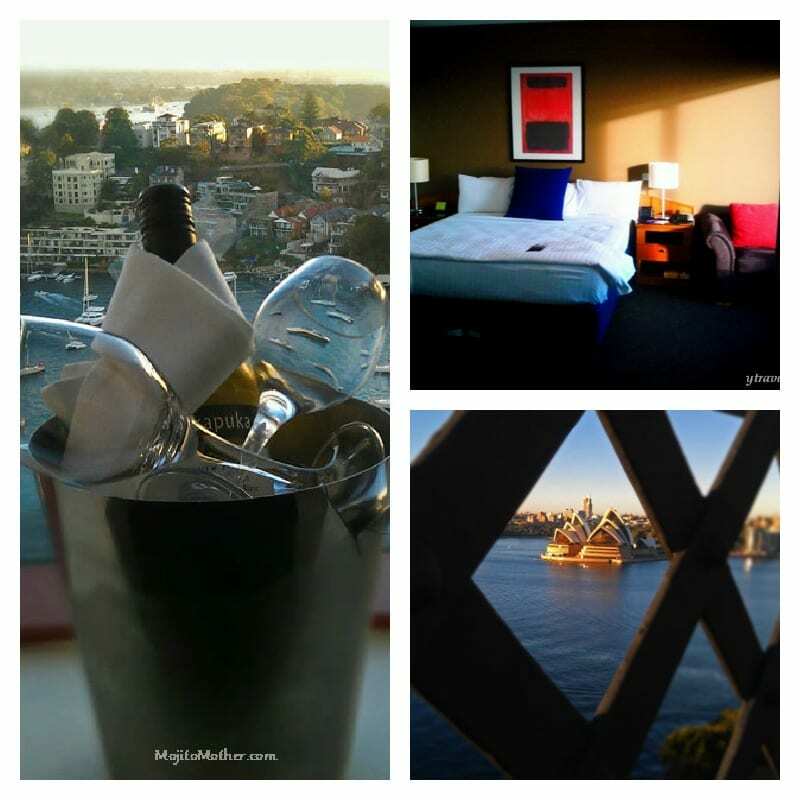 Park Hyatt Sydney – contemporary luxury with an un-rivalled Sydney Harbour location. Shangri-La – luxury in the Rocks District. QT Sydney – a designer boutique hotel in the centre of the Sydney CBD. Hilton – great location on famous George street with award winning restaurants and bars. 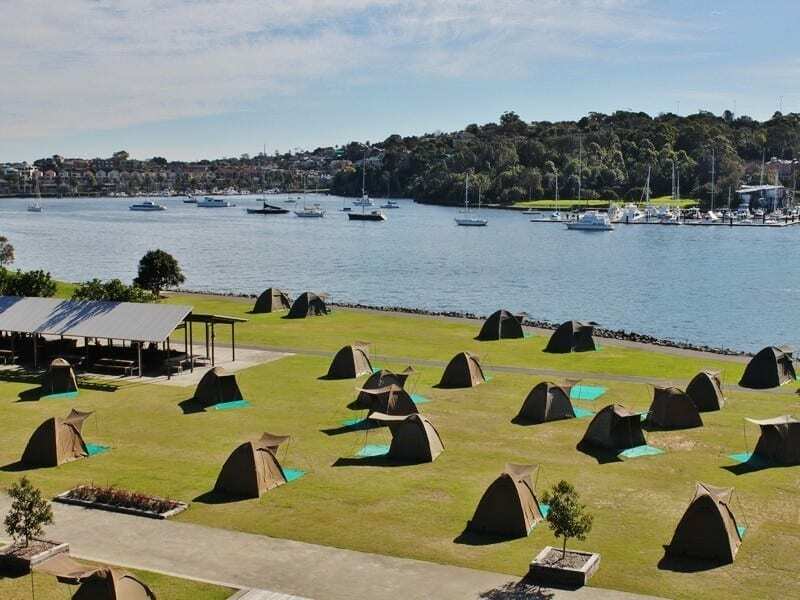 For a unique Sydney experience, consider camping on Cockatoo Island, a heritage listed island in the middle of Sydney Harbour. Not a camper? The island also boasts houses and apartments. For more places to stay in Sydney choose from the largest range of hotels, apartments, and guesthouses with our partner Booking.com. You get free cancellation on most rooms, and in most cases you only pay when you stay. Paddington Markets – Open Saturday’s with 150 unique stalls offering creative fashion and accessories. Bondi Markets – Open Sunday’s offering original designer clothing, hand made jewellery, arts, crafts, retro furniture, vintage clothes and more. The Rocks Markets – Saturday’s and Sunday’s offering fashion, arts & crafts, jewellery, music & books, health & beauty, souvenirs. Paddy’s Markets – Huge market near Chinatown selling fruit & vegetables, clothing, CDs, flowers, sunglasses, jewellery, tourist souvenirs, and much more. Sydney Fish Market – authentic working fish market. Catch the metro light rail from Central. Queen Victoria Building – Located on George street. The place to go for the finest fashion boutiques, jewellery and homeware, plus cafes and restaurants. Pitt Street Mall – Described as ‘Sydney’s Fashion Centre” boasting retail giants and specialty stores in the heart of the CBD. Westfields – Over seven levels of famous departments stores, Australian designers, and world class dining located on Pitt Street Mall. Darlinghurst’s Oxford Street is probably Sydney’s most famous shopping street offering designer brands including Australian designers, funky boutiques, retro, vintage, dancewear, gift stores, and people watching. Paddington, or “Paddo” to the locals, is another suburb offering designer brands and sophistication on the Paddington designer strip. Newtown’s King Street offers unique and quirky stores, retro and vintage fashion, music and books, furniture and homeware, collectables. New Years Eve – Is there a better setting and fireworks display in the world? I think not. Sydney Mardi Gras – One of the largest LGBT pride parade and festivals in the world. The highlight of the Festival is the Gay & Lesbian Mardi Gras Parade which is an eye-catching demonstration of LGBTQI pride as thousands of people make their way down Oxford and Flinders St on colourful floats. 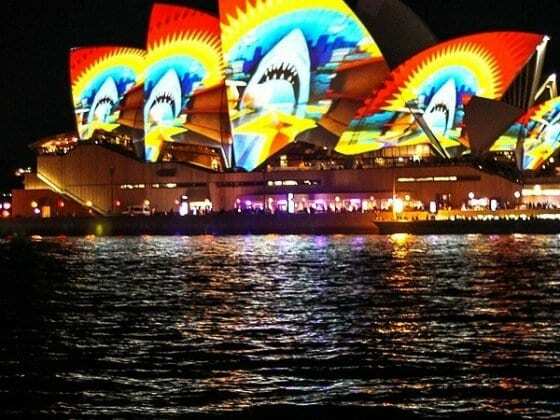 Vivid Sydney – month long after dark festival where Sydney is transformed into a spectacular canvas of light, music and ideas. The Sydney Festival – Every January a festival of music, theatre, dance, visual arts and installations, talks, free & family events. Carols in the Domain – Australia’s largest free Christmas concert where 100,000 people enjoying singing of the carols and a musical variety show. The CBD is very walkable and for the most part flat. From Central Station to Circular Quay down George or Pitt streets should take approximately 30-40 minutes. A free CBD shuttle (route 555) runs every 10 minutes on a loop from Central Station to Circular Quay via Elizabeth and George Streets. The Sydney Explorer offers commentary tours of the CBD and to Bondi at 34 different stops including all the major Sydney attractions. The City Circle loop will take you around the CBD area with stops at Central, Town Hall, Wynyard, Circular Quay, St James and Museum. 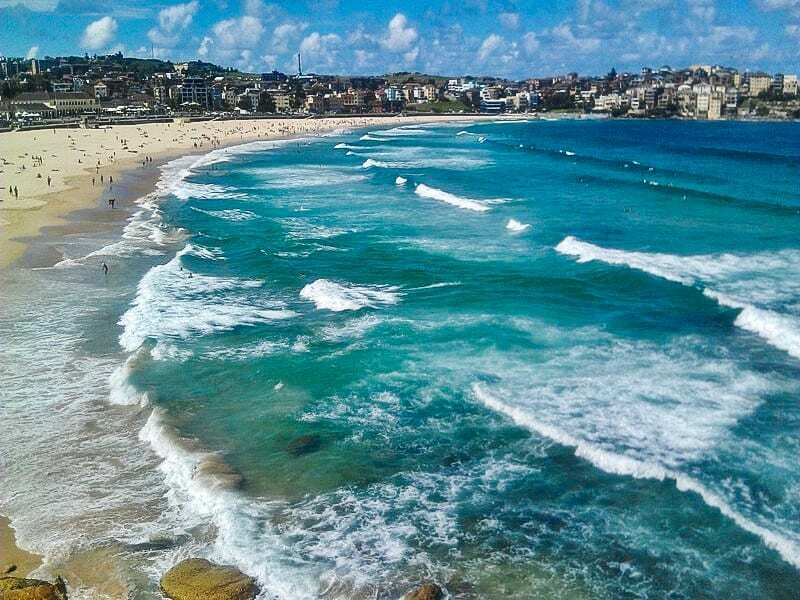 Bondi Beach – take the eastern suburbs line to Bondi Junction then connect with buses to Bondi Beach. My Multi Passes – unlimited travel on all government trains, buses and ferries for just $21 per day or $60 per week. Family Funday Sunday – Travelling with a family? Every Sunday for $2.50 per person you get unlimited travel on all trains, buses, ferries and light rail. Airport Link – trains run directly from Central Station to the airport $15.90 one way (approx 12 minutes). Sometimes we find Uber is cheaper to get to and from Sydney Airport, especially if there a few of you. You can use the code ql3dc to grab a free ride. More and more free wireless Wi-Fi hotspots are being installed all over in Sydney (and about time!! ), in cafes, restaurants, food courts and hotels. Also, Urban Spoon is a good resource to search cafe and restaurant listings offering free wireless internet. Sydney is a destination you can enjoy all-year-round. There’s always something going on and it doesn’t get too hot in the summer or too cold in the winter with rainfall spread throughout the year. But, if I had to suggest a BEST time it would be summer time for sure. Being a harbour and beaches city the summer is the best time to experience all that Sydney has to offer. Why not do something different and experience a summer Christmas and Boxing day? Plus, in the summer you have three other huge events: New Years Eve, the Sydney Festival and Australia Day. Sydney is Australia’s biggest city, and the gateway to the country with all major airlines running services. From North America you have many options including Qantas, Virgin Australia, Air New Zealand, Emirates, and all the major US airlines. From Asia consider Jetstar, Cathay Pacific, Singapore Airlines, and budget carriers like Air Asia, and Scoot. Unbelievably it took me 36 years to visit this place, but the Royal National Park, Australia’s oldest and the world’s second oldest National Park behind Yellowstone, is a hidden gem. Located within an hours drive south of the Sydney CBD, the park’s diversity is in its coastal cliffs surrounded by sandy beaches and mountainous sandstone ridges with deep river valleys. It offers great coastal and bush walks, picnic spots, camping, cycling, swimming, and drives. If your timing is right consider a full moon walk. Booking.com has over 500 properties in Sydney including hotels, apartments and hostels. You get free cancellation on most rooms and a best price guarantee. 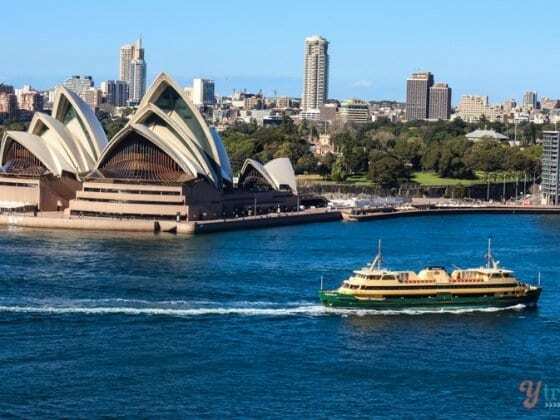 Viator is the industry leader in tours, activities, tickets and passes with a list of hand-picked tours and things to do in Sydney from local insiders. Do you have any tips on things to do in Sydney?Please share in the comments. Agree, Balmoral Beach is very nice. And yes, the hop-on-hop-off buses are a good intro to most cities to get your bearings and learn some history! Sydney is one of my favorite city in the world !! There are so many outdoor activities and beautiful sceneries to see! I have made a quick top 10 recommendations of the best cheap/free activities in the city! check it out This is truly an iconic landmark of Sydney. The best thing to do is to come and relax around the Opera House, admire the Harbour bridge at the same time, and have a drink or coffee at the Opera Bar. I saw your post on visiting Australia for two weeks, but my boyfriend and I are hoping to take some years off to travel the world, and we would really like to spend som months in Australia. It seems like there’s lots to see… But if you have time or want to, a post about roadtripping all of Australia or some other tips would be awesome. Anyways! Thanks for this amazing post! I will definately use it as a guide when we finally go to Sydney. For now, I will dream about it… Damn, it’s beautiful 🙂 THANK YOU! Glad you found it informative. Below are a few links to some of our other posts on Australia. Hope they help? Wow! The is by FAR the best city guide I have ever read. Honestly, it’s fantastic. I’ve spend a several weeks in Sydney a couple of years ago. It will always be my favorite city. Great job on this post Craig! I remember my first ever visit to Sydney, it was for 5 days and totally full. It is true that there is a lot of great things to do around Sydney. I also enjoyed a day trip to the Blue Mountains with a stop off at the Olympic Stadium. When I visited Bondi I must admit to being quite disappointed, I found it quite tacky. I would rather go and visit the Northern Beaches. Do you guys write about Melbourne? I’ve been there many times too and totally fallen in love with the place. Yeah, Bondi is probably built up with a lot of expectations. We do prefer Bronti and all the other beaches along the coastal walk to Coogee. And I agree the Northern Beaches are awesome. Where was this thorough guide when I went to Sydney last year? I definitely enjoyed the beaches and the amazing weather in Sydney. The only thing was the different prices for when you ate inside the restaurant or took the food to go; I didn’t pick up on that up until my last few days in Sydney when my friend pointed it out to me. The other thing I enjoyed was the weekend Glebe Flea Market. I thought Sydney was overall expensive but was surprised at how much cheaper the prices were in there, compared to the same kind of flea markets here in NYC. Means you will have to re-visit. Yeah, it’s no secret Sydney is expensive. But things like the markets, the beaches, ferry to Manly, walking around and visiting parks, eating in Chinatown and having picnics don’t costs that much. Love this round-up of Sydney – it makes me miss it so much. Glad to see Sydney Harbour Tallships on the list. looking at your previous post on the mast climb, it was a surprise to see myself working at the bar dressed as a pirate. Remember this sail well! Ha ha, that’s funny Helen. We really enjoyed that Tall ships experience on the harbour. A classic ship! Your welcome Toni! Glad you are coming to our city! 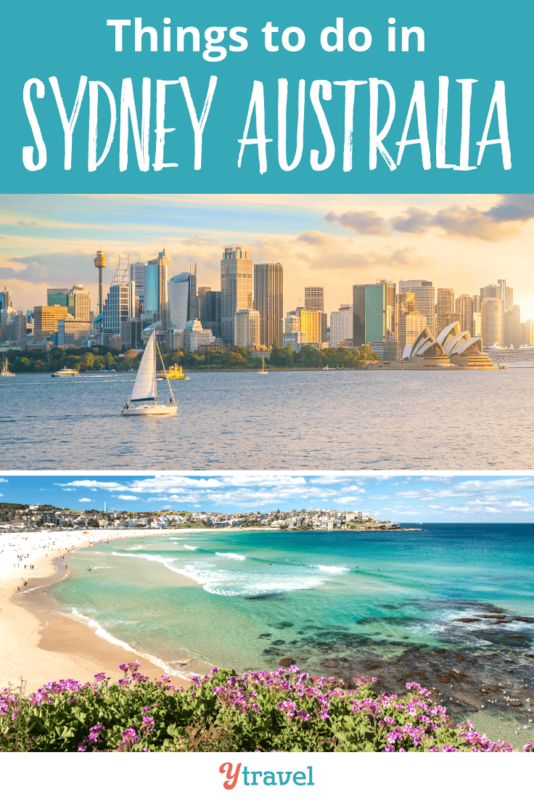 Great tips guys… especially the kayaking… I’d add Watson’s Bay as an awesome place for a seafood feed and one of the best swimming beaches on the harbour. Great list, thank you! I especially liked the pictures of each destination you’ve listed. Sydney is the best! Happy to help. We love our city. Have a great trip. Wow, what amazing tips! That really is the best guide EVER! Thank you! I’m hopefully going back to Sydney next year so will definitely be bookmarking this! Wow…that’s a great list! Anyone planning to visit Sydney must check out this list. Well, I have been Sydney once and it was a fabulous experience! I didn’t do each and everything that you mentioned, but it was still a great trip! This is THE BEST Sydney Travel Guide on the internet. I was wondering what i can recommend to my mates from overseas and I found this gem. You have covered every aspects and I am gonna send it to my mates and ready to have a great time. Thanks Craig! Thank you for the tip. We do tend to add maps into our posts now but something like this would probably be too time-consuming and cost a lot to do in resources. Although, I agree it would be a great idea and I also love maps to help me see how it all works. I cant visit Sydney because of hectic schedule. But I can go online shopping and choose the best shopping centers in Sydney. Choosing the nest couriers Sydney will also help. great creation. 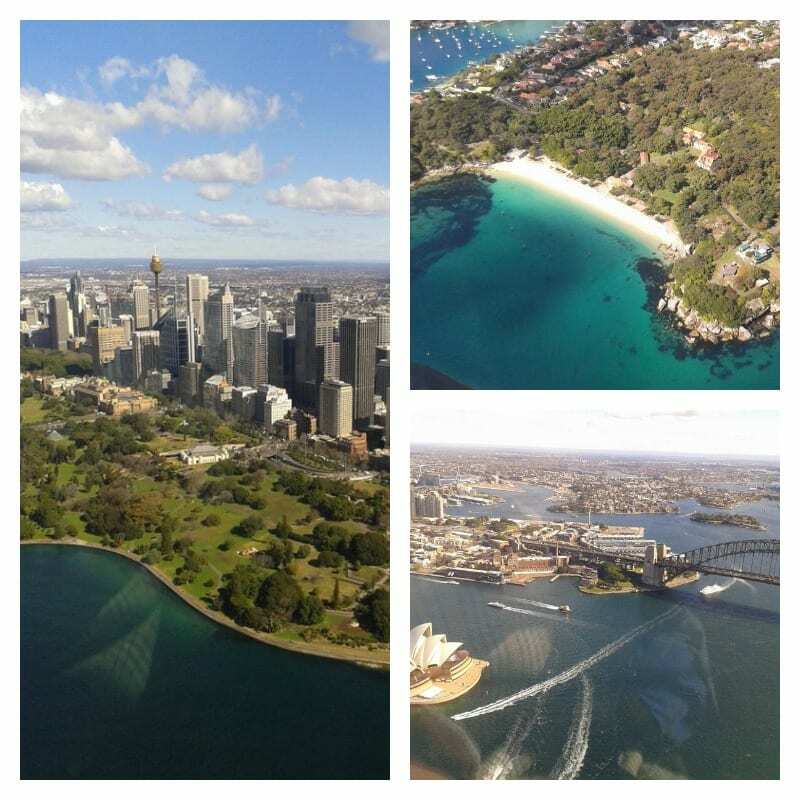 nice photos, i love to visit Sydney. Wow great list you’ve compiled here. I love the hart’s pub in the rocks. Also I live on the beaches and second it a place to visit. Great post! I’m coming to Sydney as a solo backpacker after a business trip in Melbourne. I’ll also check your Melbourne city guide for the side trips on weekends. Thanks heaps! Enjoy your visit to Sydney Belle. You know it’s nice to look into tourist pages like this once in a while even if you’re born and still staying in Sydney. Seems like there’s always an activity that you’ve forgotten was around and it’s a good idea to revisit some of the places that you haven’t been too since you were a kid. Thanks for these awesome hints! 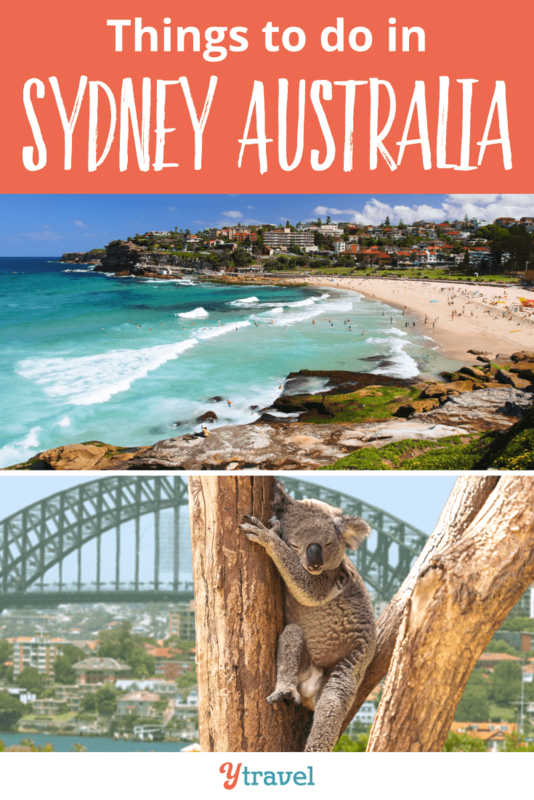 I have been following you guys on Facebook for awhile now, and now that my hubs and I have finally booked our trip to Australia your guides and to-do lists are gold for planning our visit. Thank-you! When you are in bondi you should check out the bondi beach markets. We are not the biggest in Sydney, but we are a local not for profit market that has donated thousands to local charities over the years. Great range of Sunglasses, hats and Jewellery. Near Hurricanes restaurant. That’s a really good overview. I agree that Glenmore is a good place for a beer with a view. What time of the year were you in Sydney? I see you wearing shorts and shirts, but another picture shows a coat and scarf with knee boots. The children wearing fleece, so is it elevation or cold in the morning and warming during the day? These photos are taken throughout the year so it’s not a post written for a specific season. I love this list. My husband grew up in Manly but we live in the US now. We’ve done a few things on this list but there’s so much more – I can’t wait to go back! This is a fantastic list with lots of vivid pictures of Sydney. 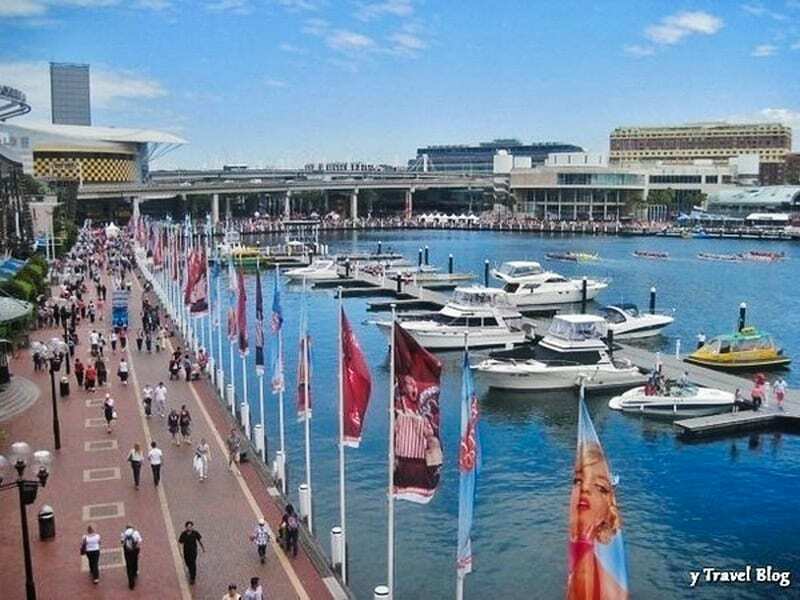 You’ve included all of the major Sydney attractions (https://www.harbourrocks.com.au/local-area-sydney/attractions/) and at the same time, you gave a personal note to some interesting special places. I would also recommend the Art Galleries in the city for art lovers. Because that’s pretty much one of the highlights. Wow! I just loved reading the blog. I would consider it as best piece of content anyone coming to Sydney can get. I am a regular reader of such blogs which tells and informs about new place I am about to visit. These blogs are really helpful for people. You are doing a good job! I live in Sydney and works at Tropical Immigration in Lane cove. I will be glad to serve. Thanks for sharing this blog.